Self seal and see through pouch. Paper is from European manufacturer, one of the best quality for pouch paper. 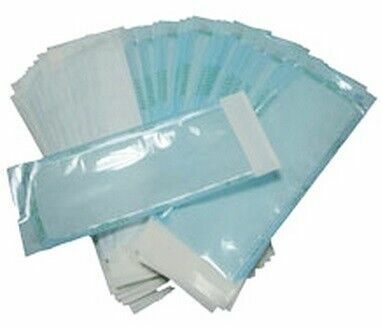 The peel off strip is an extra indicator to be placed inside the pouch for indication of completion of sterilization process. Comes with an extra notch on top to make ease of opening the pouch. Ink used in the printing is water based, and non toxic. EO gas and steam indicators.